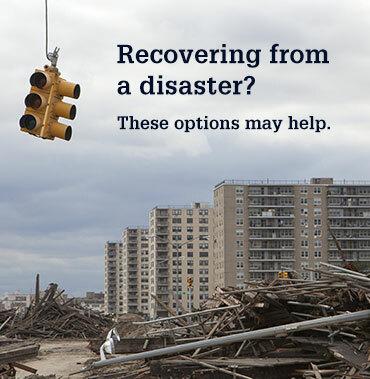 KnowYourOptions.com has information and resources to help you understand your options and take action now to avoid foreclosure. Be sure to review the following links to find answers to the most commonly asked questions. For questions about your mortgage and to discuss your specific options, you should contact your mortgage company. We have a list of mortgage companies available for your use. If your mortgage company is not on this list, check your monthly mortgage statement for specific contact information. Visit our housing counselors page for questions about counselors or to locate one near you. If you've contacted your mortgage company and have not received help or if you need additional support, a Fannie Mae Mortgage Help Network partner can assist you. The Network is available to homeowners who have a Fannie Mae loan. Click here to access our Loan Lookup tool and request help from a Fannie Mae Mortgage Help Network partner. Find out about special hardships and protections for members of the military to avoid foreclosure.